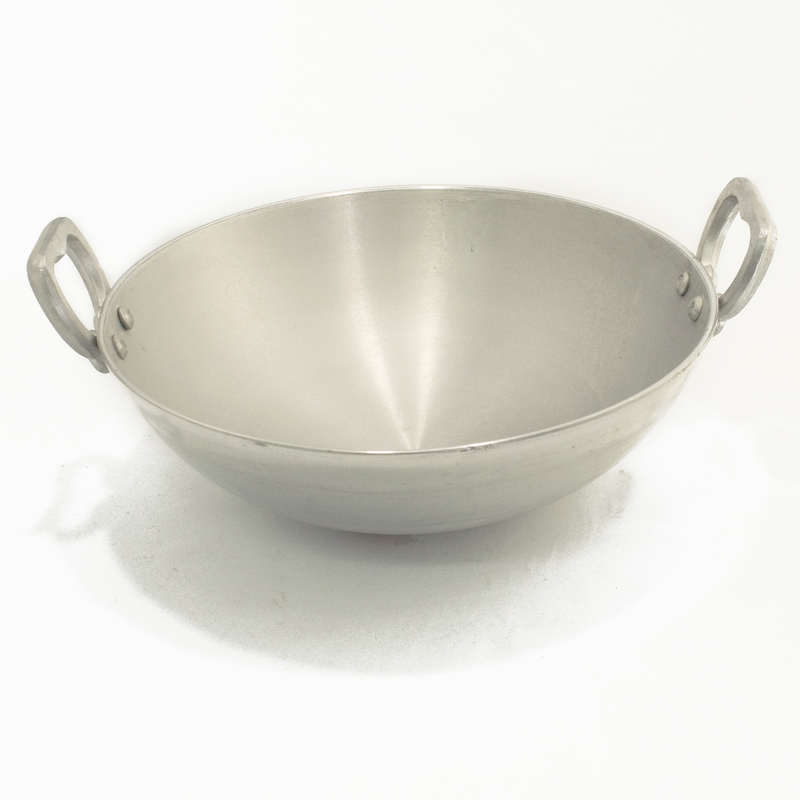 The Aluminium Kadai Pan is a versatile piece of kitchen equipment which is found in every Indian home, and no well equipped kitchen should be without one. Length 16 (including handles), Width 13.5, Height 4.5, Diameter 13.5 and Capacity 2 qt (filled comfortably without overflowing). Their wide mouth and deeper centers allowing easy evaporation of the moisture and perfect for roasting, pickling, deep frying, and sautéing with minimum water and oil. It also means that it heats up faster and reaches a higher temperature. Will last many years with proper use and care.